This season, the 14th Street Y is proud to present a wide variety of arts and cultural events for audiences of all ages. 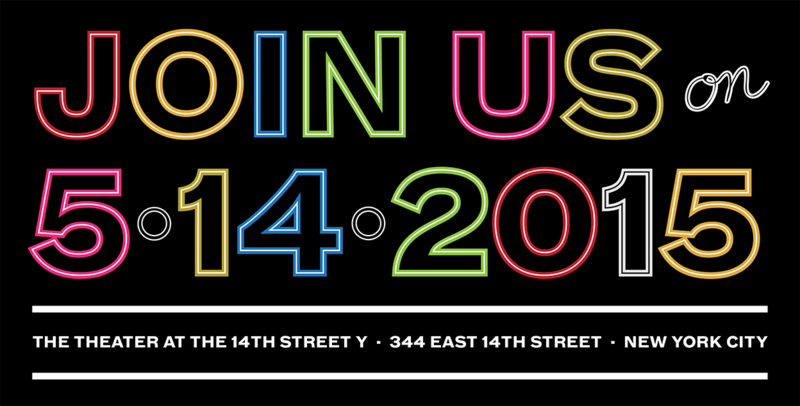 From dance, to wine tasting, to film, to musicals, to visual art and Shabbat experiences for the whole family, there is something for everyone this year at the 14th Street Y! Our Dance Series brings diverse styles of dance including Flamenco, Ballet, Modern, Immersive, Tap and Contemporary to the downtown community. Tickets are available at 14streety.org/dance. This fall the 14th Street Y Theater will welcome two innovative productions from our resident companies, Red Fern Theater and Afterwork Theater. The 14th Street Y is participating in the 9th annual Other Israel Film Festival. Award-winning films and engaging conversations focusing on the lives and diverse stories of Arab citizens of Israel and minority populations. Visit www.otherisrael.org for updates. Pause/Play is an innovative Saturday afternoon of Shabbat programming, once monthly at the 14th Street Y. Activities will include New Country in the City camp programming for kids; toddler sing-a-longs; adult conversations and learning; LABA/rts sessions; meditation; music; family and adult fitness and aquatics for all ages. Free for Y members. You’ve seen wine paired with food, but how about wine paired with texts? Join LABA fellows, ancient text scholars and a sommelier as they explore the relationship between wine and time through teachings, tastings and performances. A sensual mash-up indeed. Ticketed event. Join us for a presentation of new works in progress by the LABA Fellows and teachings surrounding this year’s theme of Beauty. LABALive events will include dance, theater, visual art, literature and immersive performances. Ticketed event. Into the Night a contemporary spin on Tikkun Leil Shavuout presented by Downtown Jews at the 14th Street Y. Join us for a nocturnal journey through culture, conversation, ritual and cheesecakes featuring LABA Fellows, artists, teachers, musicians, and rabbis. Free. The internet often serves as an endless encyclopedia or advice column for parents. There’s no shortage of blogs doling out advice to the confused, overwhelmed, or simply the exhausted mommy or daddy. This list is not about advice, it’s about having a laugh–or two–at the fun and often hysterical realities of parenting. Without further delay, here are eight fun blogs to add to your must-reads or your Feedly account, asap. Scary Mommy: Only read Scary Mommy if you like laughing out loud–a lot. Brutal honestly and a tendency to call it like is abound in this absolutely refreshing window into parenthood. Illustrated With Crappy Pictures: Parenting-inspired hilarity PLUS original (albeit crappy) artwork? Sign us up! You Know It Happens At Your House Too: What is it about an honest approach that really brings the belly laughs? There’s no sugar coating anything with this blog, there’s just a lot of fun, helpful DIYs, and social media gems posted for your reading pleasure. People I Want To Punch In The Throat. We had you at the title, didn’t we? How To Be A Dad: Real-life parenting tales are the first reason to visit, but this blog will also keep you informed of viral stories and videos circling the web too, just in case you’re a bit too busy to check..you know…every site on the Internet? Let Me Start By Saying: This is no fairy tale. This is real life. And in real life, taking your kids to a sprinkler park, and many other places, can be…a challenge. That Poor Baby. There is nothing to say other than READ THIS BLOG. Shani Silver is a writer and social media strategist living in Brooklyn, NY. Shani has held writing and editing roles at Refinery29, Free People, Keep.com, and is now the Director of Digital Content at domino.com. Her first love is writing, and she’s found a home for doing what she loves in web-based content. She is originally from Texas visits her family there often. Most summer days are perfect for enjoying outdoor play, but when rain makes sure to drive kids inside, that’s not necessarily a bad thing! Imagination (and maybe a few art supplies) are all that’s needed to make some of your best summer days the rainy ones. Read on for 10 fun ways to have a blast inside this summer. Air Fort: You will OFFICIALLY be the coolest parent ever for creating an air fort. Bonus points for being a cool way to beat the heat, too! Sticky Spiderweb: MUCH less messy than it sounds–promise! Painted Stones: Take a break from the classic paper canvas. These will also make cute grandparent gifts as is or with a magnet glued to the back! Huge Roll Of Butcher Paper: Forget paintings for the fridge. This is a mural for the hallway! Mini Ice Hockey. We’d also try this with a slightly larger cookie sheet! Foam Dough: This one is EXACTLY as messy as it sounds. Motor Skill Activities: Specifically for the tiny ones, these activities are designed to keep toddlers occupied but also to develop fine motor skills! Sponge Jenga: This one is also just fun to say. Indoor Camp Out: There is nothing, repeat, nothing more fun than an indoor camp out. Complete with construction paper fireplace and microwave s’mores of course! You can also try illuminating your faux campfire with string lights! Tunnel With Lights: We’re guessing the exterior of this wonder-tunnel will be fun to decorate, too! 10 Affordable (Or Free!) Kids Activities You Can’t Miss This Summer! 14th Street Y fans, we know you love spending time at the Y. We also know there’s a world outside of the East Village! Our friend Shani Silver put this list together for us, and for you to enjoy with your kids this summer. It’s summer! Put down the iPad, shut the laptop, and take to the city with your family. Enjoying the best of our boroughs is so much fun in summer, and it can also be truly affordable, too! Fill up your subway card and check out our top 10 budget-friendly ways to have a blast with your kids this summer! 1) Children’s Museum Of The Arts: On extra hot days, take the little ones inside and let them get their hands dirty! Admission is $11 for ages 1-65, and free if you’re younger or older than that! Closed on Tuesdays and Wednesdays, this museum offers daily craft workshops to spark the creativity of your kiddos (and their parents!). 3) Theater Tickets Under $30! Did you know the Manhattan Theater Club offers patrons under 30 years of age tickets for $30? And it’s a welcome, air conditioned way to take in a bit of culture. More info here. 4) Prospect Park Zoo: You’ve hit up the Central Park Zoo already, this summer let’s head to Prospect Park! With children’s admission just $5 (and adults only $8!) a day exploring the zoo and learning about it’s residents is an affordable way to enjoy a gorgeous summer day. Make sure you check the zoo’s daily schedule to catch a sea lion training session! 5) Roller Skating At Le Frak Center: Does your crew need to burn off a little energy? Head to Brooklyn to skate it out! The Le Frak Center offers a covered roller skating rink with $6 weekday admission ($8 on the weekends). Closed Monday & Tuesday, you’ll save an extra $6 on skate rental if you bring your own. Bonus: Le Frak also has a free “splash pad” for water play on super hot days! 7) Free Mini golf! :Figment NYC is an innovative mini golf course that changes themes each year. This year’s theme is ‘From Here To There’. Located on Governor’s Island, the course is free and open seven days a week, provided the island is open to the public. 8) Free Outdoor Movies: A tip, no matter which film you’re going to, get there early! Pack a cooler, bring the blankets, and maybe a pre-film distraction or two. Something about watching a movie outdoors creates memories no theater can touch! Full NYC schedule here. 9) Children’s Museum Of Manhattan: This is a MUST. Interactive and focused on education and play, if you only visit one children’s museum this summer (and let’s face it you’ll probably visit more!) make it this one. Check out event schedules to find the activities your kiddos will love best. $11 admission, open 7 days a week! 10) FlyNY Kite Festival: Kids can create and fly their own kids during this festival on August 15th. (We’d bring a backup store bought kite just in case!). Event admission is free! 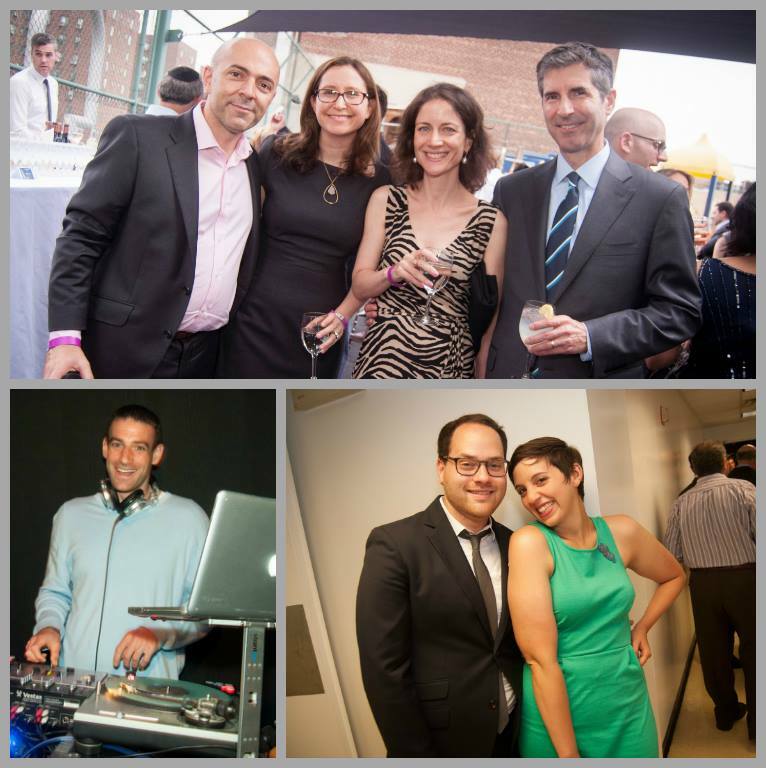 There’s a reason for everyone to attend our Gala on Thursday, May 14th. 5. The GALA is a Zero Waste event! With reusable dishes and silverware, recycling of programs and posters and composting of any delicious food not immediately devoured, It’s a Gorgeous night of fun, with a teeny, tiny footprint. 4. A delectable silent auction. Escape to Montauk or the coast of Italy, talk shop with acclaimed chefs and film critics, go backstage at a Jones Beach concert, tour the New York Times offices or the Metropolitan Museum of Art’s Costume Institute… PLUS a selection of sports tickets and dining, culture and entertainment items from Hyatt, Joanna Vargas Salon, Live! with Kelly and Michael, One Five Hospitality, STK, the 14th Street Y and much more. Take a look, be inspired and bid away! 3. A chance to shine! the 14th Street Y dresses up almost as beautifully as you do. Our theater will bring the breezy warm late spring weather indoors, with a sophisticated atmosphere perfect for music from DJ Rabbi Darkside, delicious food, performances and the great company of people just like you. Gorgeous people dance to DJ Rabbi Darkside. 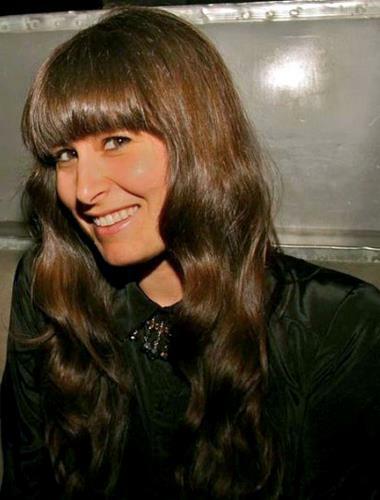 Catie Lazarus is a writer, talk show host, and Artist-in-Residence at Joe’s Pub. Gothamist calls her “One of the Finest Live Talk Show Hosts in New York City,” and Lewis Black said she is, “more brilliant than she will ever know.” Lazarus has hosted multiple web series, some animated or starring puppets; and hosts her own weekly podcast and monthly live show Employee of the Month. She even scored Jon Stewart’s first interview after he announced he was leaving the Daily Show. And she’s OUR Master of Ceremonies. You won’t want to miss it! We haven’t even mentioned the best reason of all. Attending the Gala means supporting everything you love about the Y. Every fitness, arts, early childhood, preschool, basketball, swim or camp program is made better by your support! Top 5 Reasons YOU Should DO TTSC! We think you’ll love the Teen Theater Summer Camp – but don’t just take our word for it! 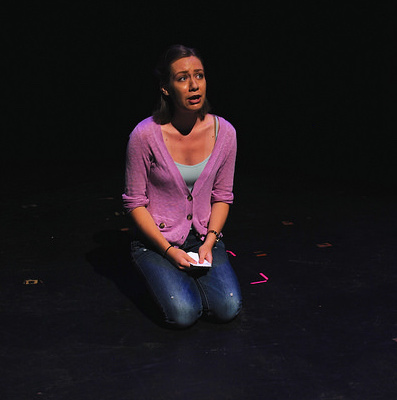 Julia performs from William Shakespeare’s “Cymbeline” at TTSC 2014. I love seeing plays, writing, performing, and acting, and I hope to do all of these in my pursuit of theater in college next year. I found out about the Teen Theater Summer Camp at the 14th Street Y through the MCC Theater Youth Company, a free after-school acting and playwriting company for NYC high school students, which I’ve been involved with since 2011. I absolutely LOVED my two weeks at TTSC last year, and I’m so excited to be this year’s intern! So, here are the top 5 reasons why YOU should do TTSC! It doesn’t matter if you come to TTSC with your best friend or if everyone there is a complete stranger –through improv games and icebreakers the first day, you’ll open up to your new peers and be laughing with them at lunch a few hours later, and by the time you perform your showcase at the end of the two weeks, you’ll practically be family! It’s an awesome way to make new friends with people who love theater just as much as you do. Over the 2 weeks at TTSC last summer, I learned a contemporary monologue AND a Shakespeare monologue, and performed one of them for a mock audition just over a week later! If that sounds scary, don’t worry — you’ll learn all about how to combat nerves and even use them to your advantage when acting and singing for an audition, as well as how to dress and introduce yourself. For me, that experience REALLY paid off for my college auditions over the winter! You’ll perform your own writing. You’ll meet all kinds of theater artists. From your teaching artists (who may specialize in acting, Shakespeare, music, dance, or all of the above!) who you learn from everyday, to the multi-disciplinary theater guest artists that you meet along the way, you’ll learn that there are more ways to make a career in theater than you could ever imagine! You might meet professional playwrights, theater educators, actors, (and many more), find out about how they chose their path, and how they got to where they are today. You might be inspired to pursue something you never even knew existed before! You’ll be doing what you love. If you’re at all interested in theater, acting, or performing, there’s something for everyone at TTSC. You may fall in love with acting after working on a monologue or song with a teacher, or might find out that Shakespeare isn’t as scary as you thought! You may even try your hand at playwriting, directing, or physical comedy. And everybody loves improv games! (You’ll probably break out into a spontaneous game of Zip Zap Zop or Bus Stop with your new friends during lunch!) I promise by the time you take your final bow, you’ll want to do it all again!